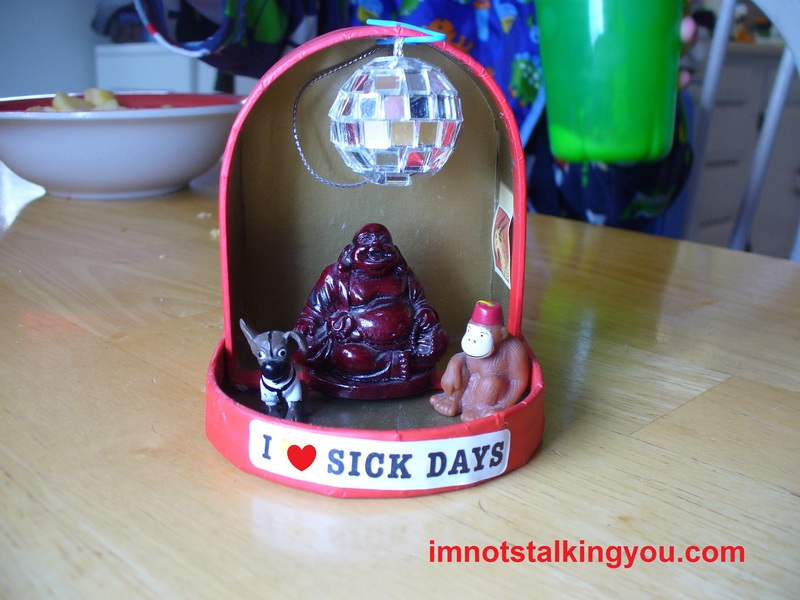 Disco Buddha | I'm not stalking you. 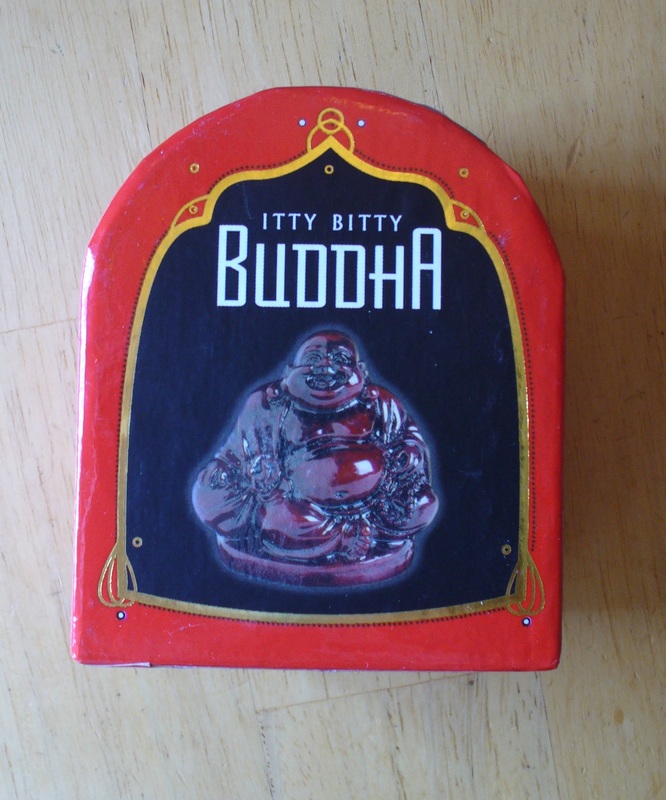 There once was a chick who had a job where she got to enter fun and quirky items such as Itty Bitty Buddha kits into a computer database for future customers to purchase. Sometimes these items would find their way to her desk. And sometimes an Itty Bitty Buddha just begs to bust out of his boring shrine and live it up with his homies! But I knew he needed a tiny disco ball. Disco Buddha also needed a poster for his wall. You probably can’t tell in the picture, but Disco Buddha is a Capricorn. (All the coolest people are.) He also loves sick days. (On the back of his shrine is a sticker that says “I [heart] answering my phone in a foreign accent”. But he keeps that one hidden, because it isn’t very PC (the blame for that actually should go on the company who manufactured the stickers!). And, that is all Disco Buddha has told me. Hopefully no one will find this sacrilegious or anything. It can’t be any worse than Buddha banks or Buddha T-shirts. Disco Buddha just likes to be happy and spread the love. Disco Buddha preferred sitting on my desk, but as I currently don’t have one, he has to reside, for now, in my kitchen. Posted in A day in the life, UnProfessional Photography & Artwork and tagged accessories, ball, buddha, cubicle, custom, desk, disco, entertainment, Homies, itty bitty buddha, Jungle Boogie, Karl the pencil monkey, Kool & The Gang, office. Bookmark the permalink. Ya! Disco Buddha has a fan!